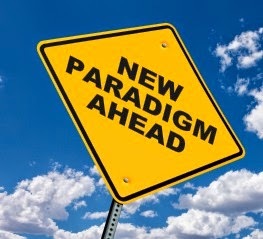 ECOMINOES: Paradigm Shift On The Right? Plus, I was reading about the Campaign for Liberty's blatant omission of Rothbard, Mr. Libertarian, from their list of philosophical influences. Liberty-lite, less intellectually rigorous and consistent, but easier for the masses of disillusioned republicans. And I kind of agree with this article about Randy as well. Friedman ideas are favored among liberty-lighters. While the State is a pernicious and coercive collectivist concept, the “nation” may be and generally is voluntary. The nation properly refers, not to the State, but to the entire web of culture, values, traditions, religion, and language in which the individuals of a society are raised. It is almost embarrassingly banal to emphasize that point, but apparently many libertarians aggressively overlook the obvious. Let us never forget the great libertarian Randolph Bourne’s analysis of the crucial distinction between “the nation” (the land, the culture, the terrain, the people) and “the State” (the coercive apparatus of bureaucrats and politicians), and of his important conclusion that one may be a true patriot of one’s nation or country while – and even for that very reason – opposing the State that rules over it. I interpret this passage (that relates to our discussion) as an argument for there to be a measured and discreet amount of pragmatism about the borders of a "nation," which I think backs up what I said about interpreting his writing in a broader context. He was discussing the absolute libertarian position of open borders "no matter what" and came to the conclusion that the historical context and present circumstances need to be analyzed before borders are redefined or are opened or closed. That's a great big duh. My thinking is that yes, if there was no welfare state that needed those borders to be closed to stop or control the flow of tax eaters, then open up all the borders and let voluntary communities come up about based on property and a strict respect for the right to secede.